With allocation changes soon to be made, which will see the remaining five Class 153s trasnferred to Transport for Wales, views such as this of three different liveried GWR Class 153s will pass into history. 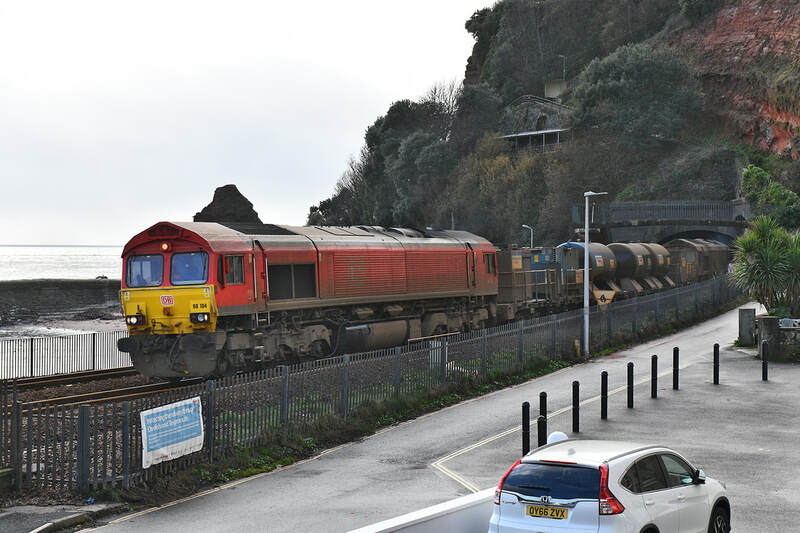 On 8 December 2018, train 2C47, the 12.53 Exeter St Davids to Penzance is seen arriving at Totnes formed of Class 153s Nos. 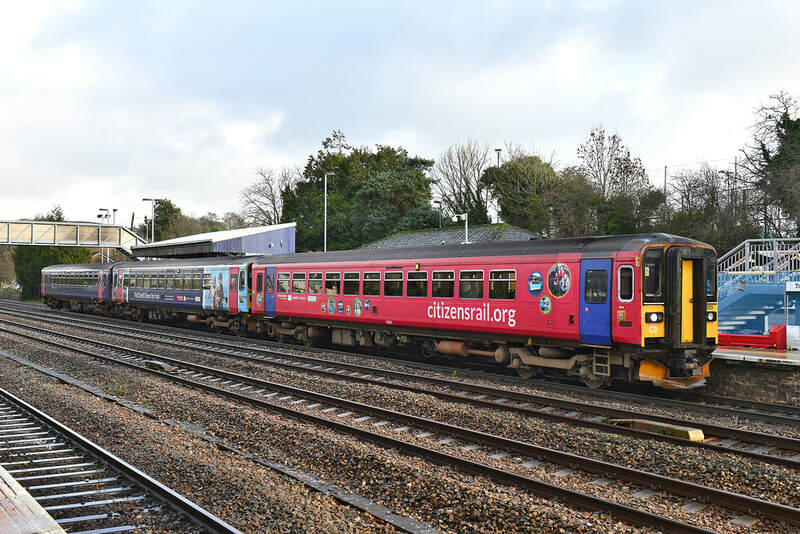 153325 (Citizenrail red), 153333 (Visit Devon blue) and 153329 (FGW all-over blue). The train is passing under the soon to be removed station footbridge, which is being repalced by a modern structure, complete with passenger lifts, positioned towards the country end of the station. 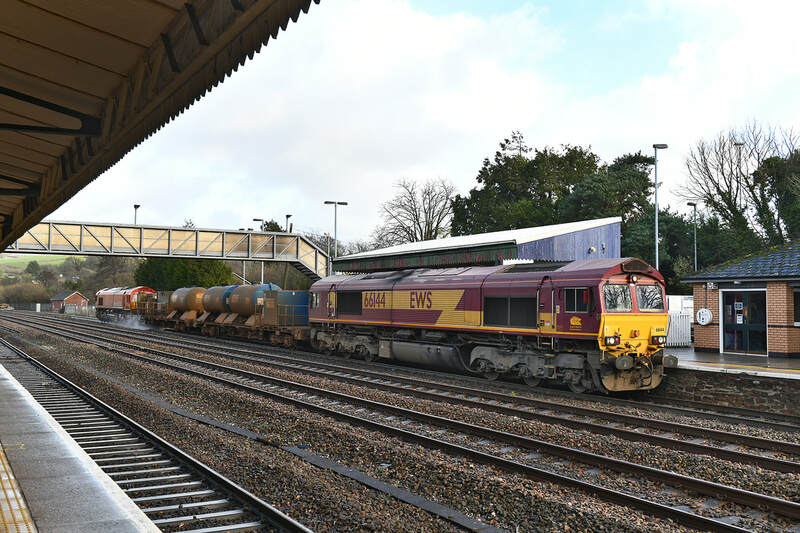 The up platform is also in the process of being extended at the country end to allow five-car Class 800/802s to be platformed. 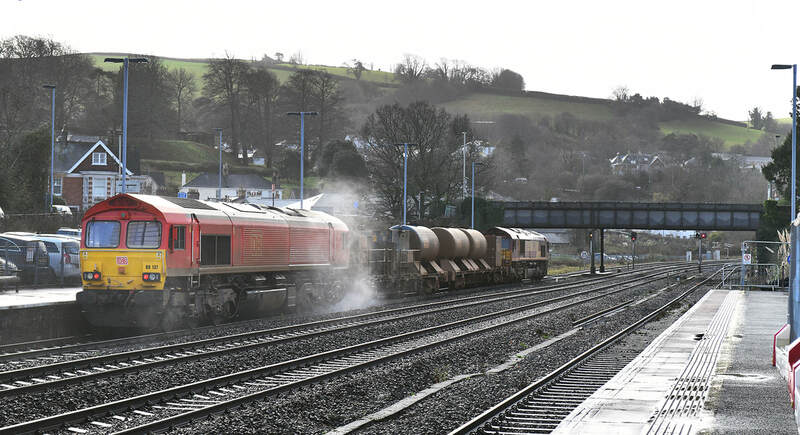 66144 + RHTT set 642035+642020 + 66137 down Totnes, 3J13, 09.07 Westbury - St Blazey.08/12/18. 66104/RHTT/66200 up Kennaway Tunnel, 3J14 08.30 Tavistock Junction to Tavistock Junction via Liskeard and Taunton. 2 December 2018. At least the red brightened up the dull Sunday morning here in Dawlish. DB No. 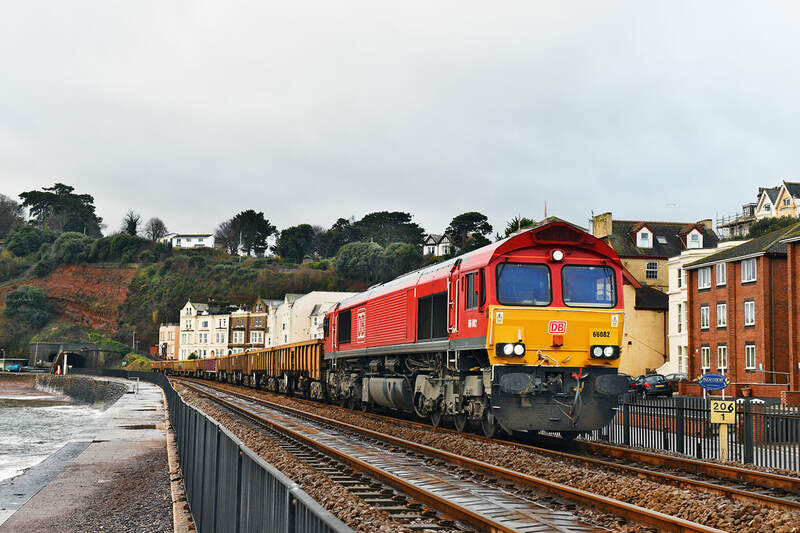 66082 runs adjacent to King's Walk, Dawlish on 2 December 2018 with train 6W30, 08.30 Ivybridge to Westbury via Plymouth, following overnight engineering work. A4 No. 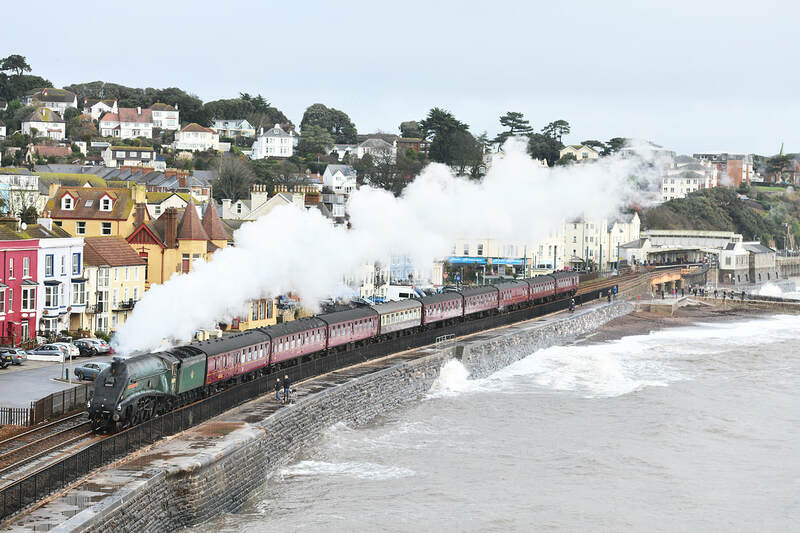 60009 Union of South Africa, passes Dawlish on 1 December 2018 powering 'Plymouth Christmas Market' charter from Bristol, running as 1Z09, 08.28 Bristol Temple Meads to Plymouth.